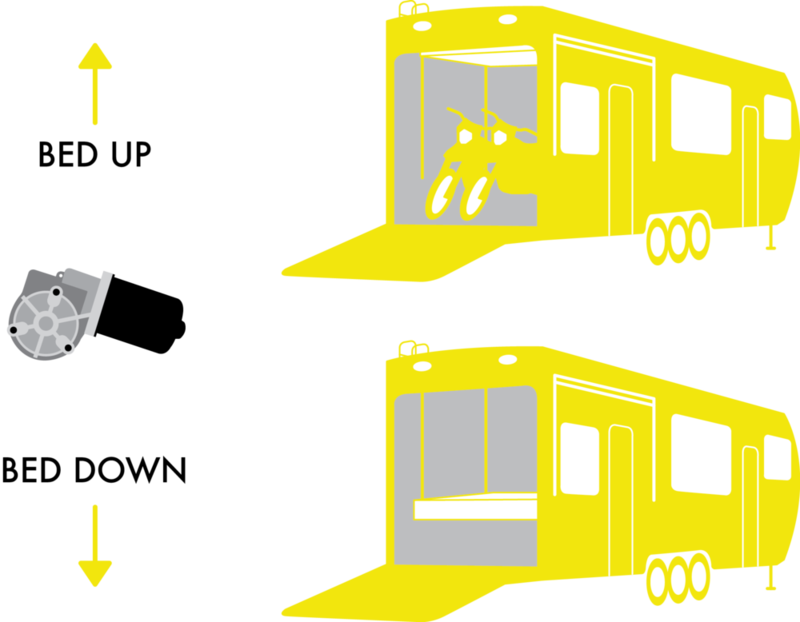 Toy haulers and RVs are like Swiss Army knives--every inch of space must pull double duty. To that end, larger beds often stow up against the ceiling during the day, then descend for use at night. AM Equipment's DC Gear Motors provide the ideal amount of power to lift and lower the beds with less ampere draw than the competition. Plus, they're quiet! Visit AM Equipment at the Work Truck Show, March 5-8! AM Equipment Wiper Systems on the NUTMobile! Looking for a 208 Series Motor? Try the 212 Series! Season's Greetings from AM Equipment!